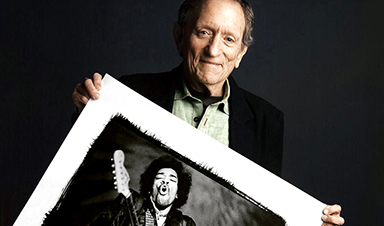 Baron Wolman (born June 25, 1937) is an American photographer best known for his work in the late 1960s for the music magazine Rolling Stone, becoming the magazine’s first editor of photography from 1967 to 1970. Wolman began working for Rolling Stone from its first issue was published, and continued for another three years. Because of Wolman’s virtually unlimited access to his subjects, his photographs of Janis Joplin, the Rolling Stones, Frank Zappa, the Who, Jimi Hendrix, Joan Baez, Iggy Pop, Pink Floyd, Bob Dylan, the Grateful Dead, Phil Spector, Jim Morrison, Ike & Tina Turner, Peter Rowan and other musicians were the graphic centerpieces of Rolling Stone’s layout.